The Oval is an international cricket ground in Kennington. The Oval has been the home ground of Surrey County Cricket Club since it was opened in 1845. It was the first ground in England to host international Test cricket in September 1880. The final Test match of the English season is traditionally played there. In addition to cricket, The Oval has hosted a number of other historically significant sporting events. In 1870, it staged England’s first international football match, versus Scotland. It hosted the first FA Cup final in 1872, as well as those between 1874 and 1892. In 1876, it held both the England v Wales and England v Scotland rugby international matches, and in 1877, rugby’s first Varsity match. Oval tube station in Kennington is named after The Oval Cricket Ground, which it serves. The station opened on 18 December 1890 as part of the City & South London Railway. It opened as Kennington Oval, and was designed by Thomas Phillips Figgis with elements of early Arts and Crafts and neo-classical detailing. The structure was made distinctive by a lead-covered dome with cupola lantern and weathervane which housed some of the lift equipment; the main part of the building was of red brick. The station building was rebuilt in the early 1920s when the line was modernised and was refurbished during late 2007/early 2008 at street level with a modern tiling scheme inside and out, giving the station a more modern look. 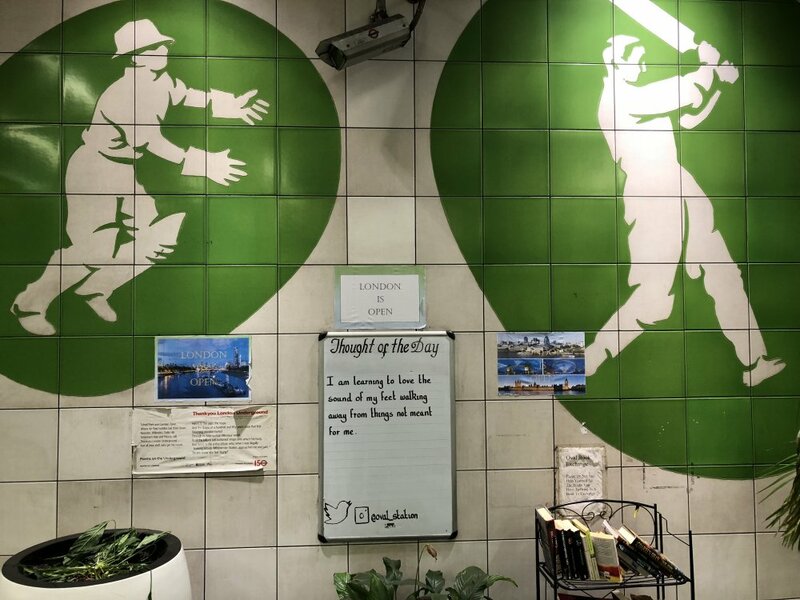 Reflecting its proximity to the cricket ground, the internal decorative tiling features large images of cricketers in various stances.